RPM Rear A-Arms for the HPI Baja 5B and 5T « Big Squid RC – RC Car and Truck News, Reviews, Videos, and More! 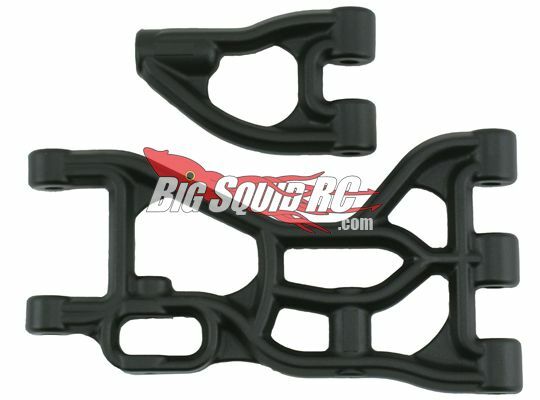 RPM RC has just announced their new rear a-arms for the HPI Baja 5B and 5T! You get upper and lower a-arms and they come in dyeable white or black. They have made a few good modifications to help keep the strength of the a-arms and eliminate any issues the originals may of had. They make some interesting changes to the arms which could really help. I think I will be investing in a pair for sure! The full press release will be posted in the NEW Product Forum. Make sure to check it out, it has a lot of info.